"Wuv, tru wuv, will fowow you foweva…So tweasuwe your wuv. " and 2 ways to spread it globally and locally-globally. 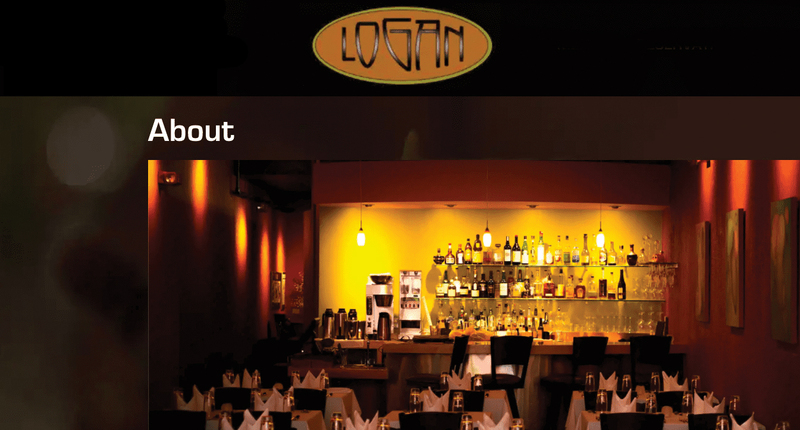 Logan is a "be kind to your taste buds" restaurant. Small and cleanly designed, you'll feel as if you're in a private room though you'll be elbow to elbow on VDay. Logan's food is an "umami jam" in your mouth, one reviewer says. The flavors are creative, wild and surprising. And the staff is "stellar," says another. Our experiences there were exactly that. The Detroit Street Filling Station is a "be kind to animals restaurant" with all vegan food. It is also a "Be Kind to Youth for Justice" savior. Meals are tremendously good! Meat-eaters will be surprised and delighted. And vegans and vegetarians can eat safely knowing how committed the owners are to fresh, vegan ingredients. DSFS is taking reservations on the half-hour from 4:30–8:30 p.m., and spaces are filling up quickly! Can't be with your love on the very day? Want to send an extra-special love "note"? Send them a "Singing Valentine" performed by the Huron Valley Harmonizers. "Imagine how surprised your special someone will be when four elegantly dressed men arrive bearing a rose, a card, and then proceed to sing two love songs!" the HVH site says. "Whether it be at a workplace in front of co-workers, at a romantic dinner with you at a downtown restaurant, or even in your own home, the Harmonizers will make the occasion an especially memorable event." They also take a photo to capture the moment. Packages start at $50. In-person valentines must be within 25 minutes of downtown Ann Arbor. If your loved one is out of town, you can also send a SV over the phone or by text message. You can book and pay for a Singing Valentine online at hvharmonizers.org. You can book and pay for a Singing Valentine online at hvharmonizers.org. For more info, email or call the Harmony Hotline (734-796-7467). 2. Go see 'My Folky Valentine' at The Ark. "Will there be love songs? Sure. But this concert is not just for couples… It’s a night of top-notch songwriting and musicianship that just happens to be made by people in love!" 1. Make cards for those who need a li'l extra. 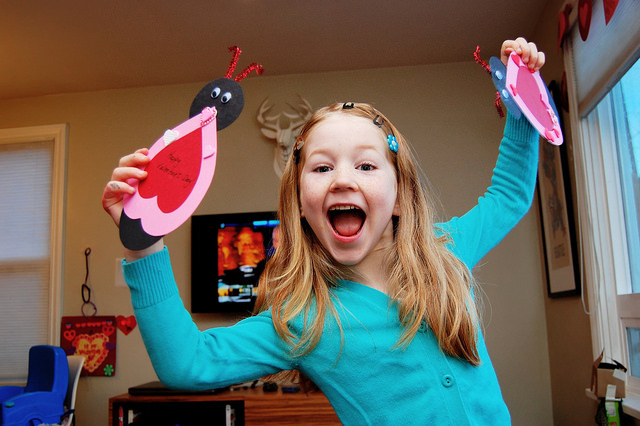 "Spread love by creating special cards or projects at home (or use the ones you made at the local events). Drop off cards on Monday, February 12, at the front desk of the main hospital. Volunteers will disburse the cards to patients. For more information: 734-712-4159." Brookdale Assisted Living, 750 W. Eisenhower Pkwy. Cards can be dropped off anytime. Front desk staff will assist people as they hand out cards to the residents. People of all ages are invited to make heart-themed cards using scrap paper and old books: "Make a Valentine." really cute Valentine’s Day Fairies. Kids and families are invited to enjoy tea and cookies with “real” fairies, a story and more. To spread love further into the world, here are a few suggestions. 1. Send a girl to school. 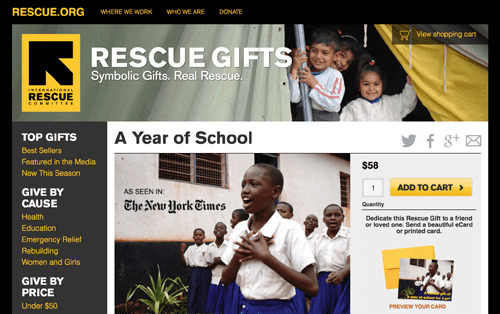 Donate to the International Rescue Committee and send a girl to school for a year. The group also offers many other ways to offer rescue. 2. Give to one of these local heartful organizations.